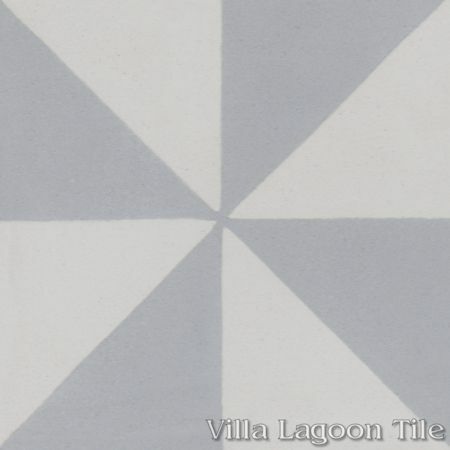 We call this traditional geometric cement tile pattern "Pinwheel Grande A". 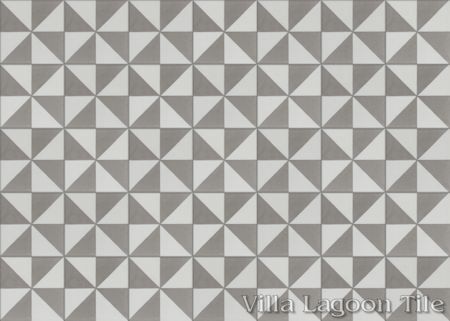 This is one of a large family of similar geometric patterns made entirely of trinagles. 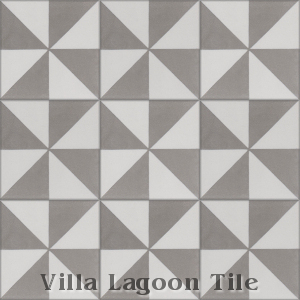 Villa Lagoon Tile's "Pinwheel Grande A" cement tile pattern using Featherstone, and White from the South Beach Palette. 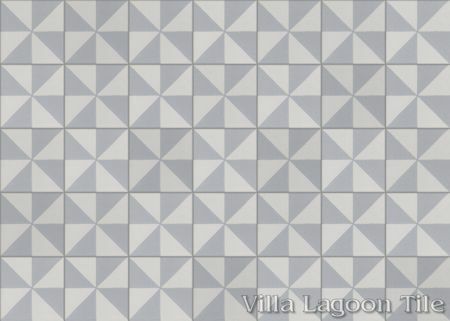 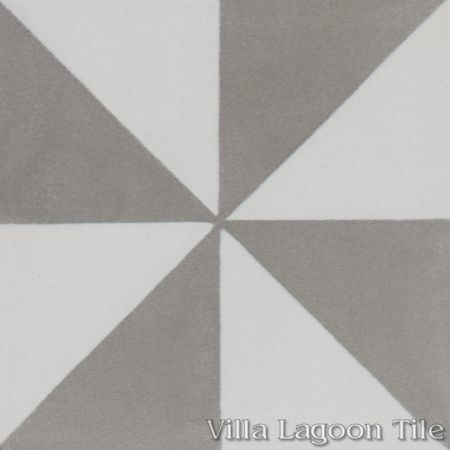 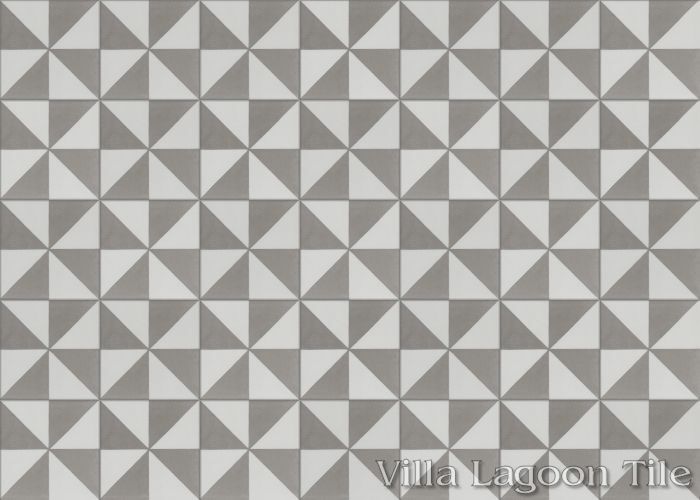 Villa Lagoon Tile's "Pinwheel Grande A" cement tile pattern using Silver, and White from the South Beach Palette.